Removing Limiting Beliefs With The Diamond Technique - Awesome Mind Secrets!Awesome Mind Secrets! The way we move through the world is governed by our belief system. This is built up through our conditioning and life experience. We have created and continually update our own mental maps of reality. We tend not to act on reality directly, rather we act directly from what our map is showing us. Maps are never perfect. They can be very useful. Essential in fact. But they do have limitations. The following technique is useful for changing limiting beliefs. It was created by German NLP Trainer’s Leo Maier and Klaus Grochowiak (www.cnlpa.de) who wrote a book called “The Diamond Technique,” which is only available in German. 1. Mark out four spots on the ground (eg paper) to form a diamond shape. i) What does this problem enable me to do? ii) What does it stop me from doing? 3. Next step into the ‘opposite’ spot. What is the opposite of the ‘problem’? With that in mind answer the following questions. i) What does this enable me to do? ii) What does it stop me from doing? 4. Now step into the ‘common’ spot. What do the, ‘problem’ and ‘opposite’ have in common? Now answer the following questions. i) What does this enable me to do? ii) What does it stop me from doing? 5. Next stand in the ‘beyond’ spot and come up with something that is beyond all of the other spots. Again ask the two questions. i) What does this enable me to do? ii) What does it stop me from doing? TOP TIP: Don’t worry about your answers being right. Just go with whatever answers come to mind. The Diamond Technique is a very interesting and useful exercise for removing limiting beliefs. I like the way it makes use of opposites along with it’s simplicity and elegance. How did you find the experience? This entry was posted in Beliefs, Habits & Thought Patterns, NLP, Problem Solving, Uncategorized and tagged beliefs, change beliefs, change limiting beliefs, change thoughts, changing limiting beliefs, limiting beliefs, positive mind set, Removing Limiting Beliefs, self limiting beliefs. Bookmark the permalink. Colin a great and simple technique. Something even simpler yet not as in depth is asking yourself “Is this working or not working for me?” This opens the mind to look at what might work. At the least it opens you to recognize what isn’t working. It may have worked in the past and now is no longer working. Thanks for the comments. Yes great questions can be really simple yet really useful! 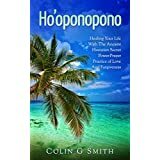 Colin I’m very new to NLP and self help stuff so please can I ask a couple of eally stupid questions ? Firstly what context is the problem to be in I.e. Should it be in the form of a belief and therefore it’s presupposed that you have pinpointed the actual underlying root cause; or can it be the physical outcome or current state caused by the limiting belief ? Secondly, what is meant by beyond, is it associated to the problem or totally abstract ? Sorry to be so obtuse and thanks.